The Ultimate Sport, In Timeless Styling. 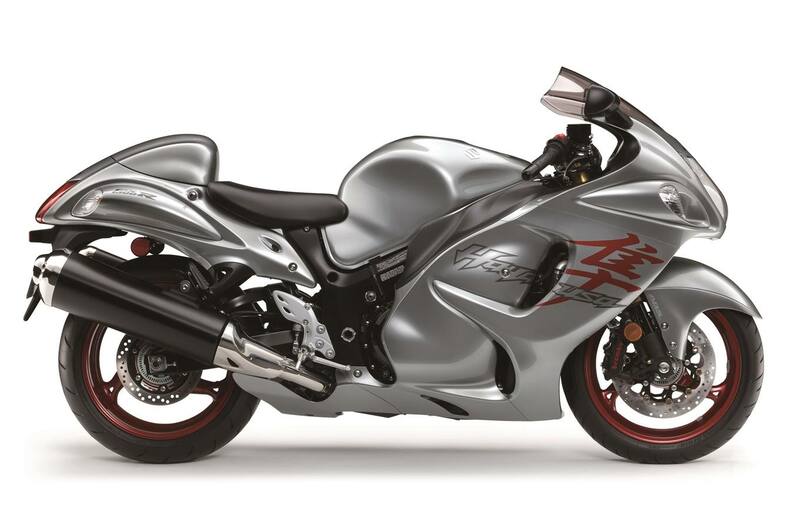 Through countless engineering refinements of the original design, the Hayabusa spirit has endured. The Hayabusa features Brembo Monobloc high-performance calipers and an Antilock Brake System*. Its incomparable performance delivers a fun and sporty ride at any speed, setting the bar high for rivals and defining the “Ultimate Sport Bike.” The radically original yet timeless styling also reflects the spirit of the person who owns a Hayabusa. Its sensational power, speed, smooth ride and overwhelming presence continue to fascinate owners and onlookers alike. Because the Hayabusa is, and always will be, the ultimate sport bike. The Hayabusa's engine is fed by tapered, 44mm double barrel Suzuki's SDTV (Suzuki Dual Throttle Valve) throttle bodies utilizing dual 12-hole, fine-spray injectors per cylinder and ram air intake with large volume airbox. This precise, carefully controlled system improves combustion efficiency results in improved power delivery and a more linear response. KYB inverted cartridge forks feature a Diamond-Like Carbon (DLC) coating surface treatment on the 43mm stanchion tubes to reduce friction and increase reaction to small surface irregularities. Spring preload, compression damping and rebound damping are fully adjustable. A bridged aluminum alloy swingarm features a cross-sectional shape for increased rigidity, which also helps cope with improved rear tire grip and increased engine output. The Hayabusa's fully adjustable rear shock absorber has a 43mm piston and 14mm rod diameter.